In this example, Feldenkrais utilizes a hand-grasping movement-an infantile reflex and embryological “growth action” (Blechschmidt, 1977) -in order to induce hypnotic-like learning. His students are placed in a situation where they learn from their own movements the means to achieve” comfort, elegance, and aesthetic satisfaction.” During the past 40 years Feldenkrais developed a somatopsychic discipline incorporating numerous effective techniques that in many essential respects complement and parallel the work of Erickson. Many of us in the Feldenkrais community are drawn to Erickson’s work because he so well conveyed certain implicit but unstated insights of Feldenkrais’s approach. Similarly, some Ericksonians have discovered in Feldenkrais’s work a subtle intelligence about nonverbal behavior, learning, and communication which makes Ericksonian skills more accessible. In this chapter I hope to stimulate reciprocal study and collaboration between practitioners of the two methods- a collaboration which has, in fact, already begun. Furthermore, by understanding certain common principles that are instantiated but differentially applied in the two methods, I hope to promote the emergence of more integrated and effective somatopsychic theory and methods. I begin with an overview of the life and work of Feldenkrais, followed by a discussion of the awareness of movement Feldenkrais and Erickson both learned through personal physical traumas. Then I describe their parallel philosophies of learning and their parallel techniques. The chapter concludes with a reflection on the artistry and experimentalism of Feldenkrais and Erickson. Moshe Feldenkrais was born in Russia in 1904 and emigrated to Palestine at theage of 13. Like many innovators, he came to his field by a circuitous route,weaving together numerous influences. As a young man, he was an excellent athlete,a soccer player, and self-taught in jujitsu. He did construction work and tutoredproblem students while attending night school preparing to study physics. Hehad an early interest in hypnosis and translated Emile Coue’s book on autosuggestioninto Hebrew. In Paris, Feldenkrais earned his doctorate in physics at the Sorbonne and assistedJoliot-Curie. During his university years he met Kano, the originator of judo,and trained with Kano’s students to become a high ranking black belt and well-knownjudo teacher. Evading the Nazis, Feldenkrais fled to England where he worked in antisubmarineresearch during the war, wrote scientific papers, trained paratroopers in self-defensetechniques, and authored books on judo. On slippery submarine decks he aggravatedan old soccer injury to his knees, and began the extended work on himself whichled to his discoveries about movement reeducation. After he publicly presentedhis ideas, people sought his help with their problems. For several years he wasan amateur somatic practitioner, first in England and later in Israel where hehad returned to work as a research scientist. In the mid-1950s, Feldenkrais gaveup his career in physics and devoted himself fully to his work with people. Bythe late 1960s he was training his first Tel Aviv group to become practitionersof his method, and he trained two subsequent groups in the United States. Hewrote four books on his method, and his teaching is preserved in thousands ofhours of audio- and videotapes. Moshe Feldenkrais originated two interrelated,somatically based educational methods. The first method, Awareness ThroughMovement®, is a verbally directed technique designed for group work.The second method, Functional Integration®, is a nonverbal contacttechnique designed for people desiring or requiring more individualized attention. As exemplified in the quote above, Feldenkrais’s Awareness Through Movement lessonsincorporate active movements, imagery, cues for sensory attention, and variousinformative and suggestive material. A typical lesson lasts about an hour andcombines a few dozen thematically linked movements. Lesson themes may includedevelopmental movements such as rolling, crawling, and standing up; functionssuch as posture and breathing; systematic explorations of the kinetic possibilitiesof the joint and muscle groups; and experiments in somatically based imageryand visualization. These lessons are not “physical exercises” such as calisthenics; they are somatopsychicexplorations which foster improvement by accessing inherent neurological competencies,increasing self-awareness, and facilitating new learning. The initial movementsare usually very small with an emphasis on ease, comfort, and learning so thatgradually one becomes aware of how the musculature, skeleton, and entire personalityare involved in every movement. From seedlike beginnings, small movements growinto movements of greater complexity, magnitude and speed. The result is learningto move with greater efficiency and satisfaction. The individual lessons of Functional Integration are based upon the same logic as Awareness Through Movement. They are used with a broad spectrum of people from those with physical limitations and discomfort, including neurological and musculoskeletal problems, to athletes and performing artists. The method of Functional Integration is neither a medical nor a therapeutic practice; it is learning-based, primarily nonverbal, and directed at enhancing the efficiency, coordination, grace, and self-possession of a person’s movement. Lessons are done with the student lying on a soft but firm work table, or standing, or sitting. The practitioner gently touches or moves the student in a variety of ways to facilitate the student’s awareness and stimulate organic learning and vitality. Each move in the lesson is part of a communication Feldenkrais has likened to dancing. Through touch, the practitioner partially discloses or hints at a functional motor pattern, and the student’s nervous system responds with altered muscular responses. Gradually, with repetitions and variations, the student assembles or synthesizes-mostly at an unconscious level- a new neuromuscular image of movement which can later be translated into active performance. At the end of a session the practitioner helps the student to integrate the learning in everyday life through alternative movements based upon the lesson’s functional theme and through verbal suggestions. In recent years Feldenkrais has become well-known for his work with brain-injured children and adults, but he is equally respected in the theater and dance worlds for performance training. May people have sought his aid for muscular and joint problems, and others for personal growth. By working with the whole person, Feldenkrais’s techniques promote self-esteem and learning skills. Within this broad educational context Feldenkrais focused especially on the unconscious sensory-motor experience that lies beneath the surface of human behavior. This includes but is not limited to: (a) sensations of the muscles and joints; (b) the sense of gravity, balance, space, and time; (c) kinesthetic associations; (d) motor skills and competencies; and (e) self-image. Feldenkrais spent a lifetime exploring and revealing the inexhaustibly rich, multidimensional world of human movement (Note 1). Both men attached importance to the therapeutic and self-actualizing value of human learning; they demonstrated how learning new abilities can lead to such positive transformations that symptoms spontaneously disappear. The key is that learning builds self-confidence. Erickson said, “Most neurotic ills come from people feeling inadequate, incompetent” (Zeig, 1980, p.222). And according to Feldenkrais, what makes therapies effective is that “your acts and responses must contain, even in your expectations or imagination, feelings of satisfaction and pleasurable achievement or outcome” (1981a, p.37). They carefully and masterfully created learning situations which established a foundation of success so that feelings of accomplishment could generalize to other situations (Feldenkrais, 1981a, p. 92; Zeig, 1980, p. 314). For Feldenkrais and Erickson, learning is not fundamentally an intellectual process; Learning is a sensory motor process involving the entire self, and results from doing. Feldenkrais quotes an old Chinese saying: “I hear and forget. I see and remember. I do and understand” (1981a, p. 89). Erickson said, “The thing to do is get your patient, any way you wish, any way you can, to do something” (Zeig, 1980, p.143). Both Feldenkrais and Erickson were men of action who enjoyed the life of the body. Erickson’s polio, despite the physical restrictions it caused, seemed only to heighten his appreciation for physical experience. Telling a client to climb Squaw Peak was an example of one of Erickson’s prescriptions, parallel to Feldenkrais’s more general emphasis on physical activity. The parallel between organic learning and Erickson’s hypnotherapeutic learning is that each represents an inner-directed, highly personal learning process which unfolds the individual’s potential. This process lies at the heart of how the person experiences and regards him or herself. Both of Feldenkrais’s methods (Awareness Through Movement and Functional Integration) are intended to reinstate the self-perpetuating movement of organic learning. They lead the student through primal sensory-motor pathways and forests of discovery where the nervous system has retained the memory of, and thus the competency for free and natural movement. Analogous to Erickson’s hypnotherapeutic learning, this process of reconnection with the inner, intelligent, sensory-motor self reinforces the impulse of growth, individuation, and creativity. Analogous to some of Erickson’s “reframing” procedures, Feldenkrais often resituates his students’ problems in a learning context. For example, a woman approached Feldenkrais to be treated for her scoliosis. Feldenkrais told her that he would not deal with her “scoliosis” since many therapists had already tried unsuccessfully to “correct” her spine. She could, of course, go to a surgeon; but if he straightened her spine surgically, she would surely lose mobility. Feldenkrais explained that he could help her to learn how to move without pain and with ease in all cardinal directions. Furthermore, by learning how to perform functionally symmetrical movements, she would learn to appreciate in herself and improved skeletal organization and, in effect, learn to “straighten” herself. Feldenkrais’s learning orientation is atypical of most somatic approaches which ( a) diagnose and isolate specific structural or physical problems; and (b) attempt to cure or correct these problems; by (c) administering authoritarian, directive forms of manipulation and behavioral prescriptions. In contrast, Feldenkrais (a) situates the problem in terms of the availability or unavailability of choices and options open to the person; (b) engages in a mutual search for new options of behavior and experience which can lead to more favorable outcomes; and (c) utilizes already present competencies and works indirectly to support the person’s ability to discover solutions through awareness and learning. In the following sections I describe how this general approach is embodied in Feldenkrais’s techniques which parallel those of Erickson. Feldenkrais’s movements often accentuate the student’s way of holding the body; his hands shape themselves to the musculoskeletal contours, supporting and exaggerating what is already being enacted and taking over the student’s own muscular effort. For example, Feldenkrais might lift and support a pupil’s hunched shoulders or tightened lumbar arch. Once, while working under Feldenkrais’s supervision, I was attempting to release a muscle spasm in an elderly woman’s pelvic muscles. He came over to me, put his hands on mine. and I felt his and my hands merge with the woman until the three of us were moving as on “ensemble”. As her spasm released and her pelvis began to softly move, Feldenkrais rhythmically intoned, “Don’t contradict her nervous system. It is very intelligent. It has been making life feasible for this woman for 76 years. Help it to do its job” (personal communication, April, 1979). For Feldenkrais, muscular tensions are intelligent, useful behaviors that serve some purpose to the person. Utilization means cooperating with these unconscious patterns and adjusting to the individual so that “we can all do our own learning in our own way” (Zeig, 1980, p. 224). Thus it may be helpful to lengthen further the side of the body which is longer, or twist the student in the habitual direction of musculoskeletal torque; this establishes rapport with, and enables reorganization of those individual-specific patterns which are often called “symptomatic”. Paradoxically, when a person is pushed sufficiently in his or her own extreme, it begins to feel right for the person to spontaneously correct his or her posture. For example, if a man habitually carries his head to the right, by gently increasing his natural “bent”, his own “biofeedback” will redirect him toward more symmetrical functioning. However, if the man were corrected directly, he would perceive it in his self-image as an unnatural movement to the left and his unconscious bias might undermine the correction. 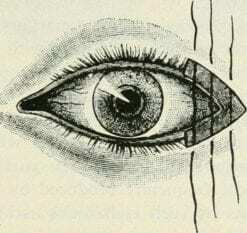 In another instance, Feldenkrais taught a student to open an eye which could not open properly by exaggerating the eye’s closure, thus rendering the movement of opening, however slight, more perceptible. Even as a young man, Feldenkrais only played football with him until one day the boy insisted. on his own, that they do some math homework together. In this case, utilization of the boy’s rebellious feelings toward his father and his positive feeling for sports were the means to carry him beyond his learning block Note 3). Erickson was well-known for employing indirect and often paradoxical techniques in hypnosis and psychotherapy. As in some of the examples already discussed, Feldenkrais, too, avoids direct and obvious approaches and believes that an indirect solution is often the most effective and elegant one. For example, in Functional Integration Feldenkrais often works only with the “good” side and not the injured or restricted side of the body. A person with an injured leg depends heavily upon the “good” leg which, therefore, often becomes strained from doing the work of two legs. Working on the “good” leg helps the person to move easier and gives the “bad” leg a chance to rest and heal. In addition, passively lengthening and shortening the “good” leg effects an isomorphic, reciprocal movement on the opposite side of the pelvis and spine; thus, the “bad” leg undergoes the same movement but indirectly. Indirect movements can bypass protective reactions which may be considerable in cases of pain and trauma and help teach the person how to move in a healthful manner. Feldenkrais’s “artificial floor” technique illustrates how he can elicit the learning of whole functions through partial cues conveyed through any part or parts of the body (Feldenkrais, 1981a, pp. 139-142). With a pupil lying supine on the work table, Feldenkrais applies subtle pressures to the sole of the foot with a flat board or book in order to “simulate walking on even ground” through proprioceptive cues. While on the table, the person probably has no conscious inkling of what is being learned; he or she is simply absorbed in pleasant kinesthetic sensations. However, upon getting up and walking, the pupil will appreciate that his or her nervous system has undergone a substantial reorganization in its “image” of walking. In this manner Feldenkrais teaches “sensory-motor excellence to normal individuals and to individuals with problems such as cerebral palsy. “Differentiated” and “nonhabitual” movements form a group of Feldenkrais techniqueswhich can be understood as analogous to Erickson’s pattern interruptions. Justas Erickson often prescribed out of the ordinary behaviors and even engineeredsituations in order to shake people our of their patterns, Feldenkrais oftencreates sufficiently novel and unfamiliar learning situations to do the same. “Differentiated” movements may refer to moving the eyes, head, shoulders, and pelvis in separate directions; “nonhabitual” movements may consist in simply reversing one’s habitual way of interlacing the fingers or being asked to perform unfamiliar and familiar movements in novel positions.The situation of learning something radically new produces a major shift in thebrain and often induces a trancelike state reminiscent of Erickson’s “confusiontechnique”. Feldenkrais’s differentiated and nonhabitual movements are modeledon the organic, experimental learning of children. Normal motor development followsa rhythmical course of increasing differentiation and synergistic integration.For example, discrete movements of the extremities are differentiated from globalactions involving the entire; discrete finger movements are differentiated fromundifferentiated hand movements such as grasping, with each succeeding differentiationsupported by integrated activity of the whole body. In cases of abnormal developmentsuch as cerebral palsy, Feldenkrais may initially go with, and pace a person’sspastic, undifferentiated functioning that displays the action of “higher” neurologicalinhibition. In cases of stroke or even stress-related muscular tension, peopleregress to less differentiated functional states; and differentiation must bereacquired. Again, Feldenkrais’s approach is to “pace and lead”, shifting betweenundifferentiated and increasingly differentiated patterns. Similarly, the Awareness Through Movement extract at the beginning of the chapter calls to mind many Ericksonian patterns of hypnotic communication, including embedded and indirect suggestions. And, the effect of the lesson is certainly “hypnotic”. Yet, interestingly, Feldenkrais does not refer to “hypnosis” or “trance” either in practice or theory, His language is situated in the context of human movement learning, and it is sensory-based. “States of consciousness” are invoked primarily insofar as they are embodied in sensible qualities of activity. In actual practice this is not as restriction as it may sound since movement is an expression of the self. Feldenkrais’s parallel “hypnotic” approaches may be summarized as follows: (a) the induction of a positive, subjective state which is conducive to learning, including feelings of ease, comfort, reduced muscular tonus; (b) the sensitivity to an validation of self-experience; (c) the training of somatopsychic skills including imagery, memory, attention, physiological and neuromuscular control; (d) the utilization of life-experiential and species-experiential knowledge; (e) indirect approaches; (f) pattern interrupting techniques; and (g) emphasis upon mutual respect, codependent interaction and communication where practitioner and student reciprocally learn from each other. Then Feldenkrais asked him to stick out his tongue and do the movement animals do to lap water (which involves a wavelike movement of thrusting the head forward). He was asked to repeat the movement slowly, reducing his effort, and making each movement more comfortable than the last. After resting, he was asked to repeat the movement with his face turned to the right, then to the left, and finally while moving his head slowly from one side to the other. As his movements gradually involved more of his spine and entire self, minute by minute he sat more erectly in his chair; and after about 15 minutes, he sat with his head held high and an alert, pleasant look on his face. Feldenkrais then pointed out that his legs were relaxed and no longer spastic. Next, Feldenkrais had the man lie down on the table on his back; and in the process his legs became spastic once again. Feldenkrais asked the man to think of what he had been doing with his tongue. As the man imagined the movement of lapping water, his legs again relaxed. After working nonverbally with the man for about 15 minutes, Feldenkrais had him move back to his wheelchair. But as he started the effort of lifting himself, his legs again became spastic. After Feldenkrais reminded him of the tongue movement, he was then able to manage himself much more easily without his legs becoming stiff. In order to understand the movement of lapping water, experience the movement yourself and observe what your head and neck do. You will discover that if you perform the movement slowly, gently, and repeatedly, your entire body will become involved in the act. Notice that although the active, intentional, and conscious movement is to thrust the head forward as the tongue reaches for “water”, the relatively passive, unintentional, and unconscious phase requires straightening the cervical arch and taking the head into its most erect position. Thus, in light of what has been said, we can see that this movement is an indirect technique of learning improved posture and spinal organization; a utilization of the man’s forward stoop in a pleasant-feeling movement; a pattern interruption of his usual manner of seeing himself and holding himself; a ” naturalistic trance induction” involving repetitious movements and sensory-based suggestions for increasing ease, comfort, and satisfaction; and a utilization of latent phylogenetic and ontogenetic neuromotor patterns involving movements of the mouth and jaw in organic relation to the first cervical vertebra, the tongue, swallowing, breathing, and locomotion. Finally, we can see how the new movement quality can be used as a kinesthetic reminder- and a form of “posthypnotic suggestion”-for the possibility of increased ease and lightness of movement. Feldenkrais and Erickson are artists as well as therapists and teachers. As artist-scientists, they continually go beyond themselves and never abandon an experimental attitude. With their students they consistently attempt to provoke creativity, individuality, and originality of thinking. For example, when Erickson said that the practice of psychotherapy should be “charming and interesting”, he was going beyond a solely practical, therapeutic frame of reference. He was challenging himself as an artist to be inventive as well as effective. Analogously, Feldenkrais directly compared his lessons to “procedures…in learning to paint, to play an instrument, or to solve a mathematical problem…Pianists of genius when practicing…always…discover an alternative to the habitual” (1981, p. 95). Thus, over the years Feldenkrais developed literally thousands of different Awareness Through Movement and Functional Integration lessons, and Erickson displayed a similar virtuosity of styles and techniques. A Teaching Seminar demonstrates how Erickson was able to find unexpected ways to humor and stimulate his students to “think in all directions” (Zeig, 1980, p. 128); and Feldenkrais, like Erickson, tells stories to teach flexible thinking as well as moving. He relates that he once was seated opposite a man on a train who was reading from a book held upside down. After a few moments of bewilderment, wondering if the man were crazy, joking, or only pretending to be literate, Feldenkrais asked him why his book was upside down. “Upside down?” the man replied. “How can a book be upside down?” The man had gone to a school in a small Yemenite village where there was only one book to a class. The children sat each day in a small circle reading their book from “all directions” (personal communication, March, 1979). 1. For information concerning Feldenkrais’s work and trained practitioners, contact the the Feldenkrais Guild® of North America: www.feldenkrais.com. 2. Feldenkrais, M. Professional Training Program, June, 1975. 3. Feldenkrais, M. Unpublished autobiography, undated. Bandler, R. & Grinder, J. (1975). Patterns of the hypnotic techniques of Milton H Erickson, M.D. (Vol. 1). Cupertino, CA: Meta Publications. Blechschmidt, E. (1977). The beginnings of human life. New York: Springer-Verlag. Erickson, M. & Rossi, E. (1979). Hypnotherapy. New York: Irvington. Feldenkrais, M. (1949). Body and mature behavior. New York; International Universities Press. Feldenkrais, M. (1972) Awareness Through Movement. New York: Harper & Row. Feldenkrais, M. (1981a). The Elusive Obvious. Cupertino, CA: Meta Publications. Feldenkrais, M. (1981b, May). San Francisco “Quest” Workshop. Washington, DC: (ATM®) Recordings. Haley, J. (1967). Advanced techniques of hypnosis and therapy. New York: Grune & Stratton. Pribram, K. (1971). Languages of the brain. Englewood Cliffs, NJ: Prentice-Hall. Zeig, J. K. (Ed. ). (1980). A teaching seminar with Milton H. Erickson, M.D. New York: Brunner/Mazel. This entry was posted in About the Method, blogs and tagged hypnosis, Milton Erickson.